Sony PS4 is a home video game console which is the successor to the PlayStation 3. Although PS4 has more powerful features like SharePlay which is a great way to experience video games, the PS3 is a little better in terms of the media machine than the PS4. Although it claims to support many files formats, but we still run into incompatible issues such as AVI to PS4. Q: No way to watch AVI on PS4? You may confused why PS4 support AVI but you cannot play AVI on PS4. There are strict rules for AVI playback. While AVI is a container video format which may contain various video or audio codec. If the AVI video is not encoded with PS4 compatible codec, we will fail to stream AVI to PS4 or cannot play AVI on PS4 even if successfully transferred AVI to PS4. 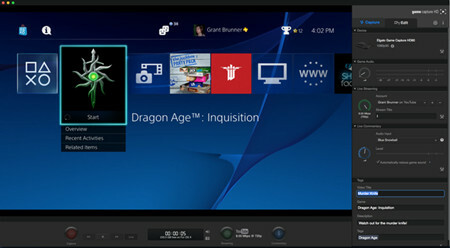 In order to successfully play various AVI files or other format files on PS4, a widely used solution is to convert videos to PS4 recognized formats. Here, we strongly recommend Pavtube Video Converter (Mac version) to help you convert videos to PS4 to solve “PS4 won’t play AVI” issue. Step 1: Download and install the program. Click “Add video” on the main interface to load video files to the program. You can also drag the files to the program’s window list directly. This program can also support the batch video clips. Step 2: Select the right formats for playing on PS4. 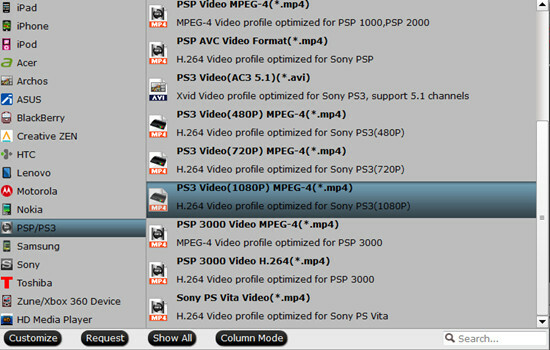 Here we suggest you to go to the “PSP/PS3” list, you will get the “PS3 Video (1080P) MPEG-4 (*.mp4)”as the best output. Conclusion: Once the conversion is finished, click “Open” to quickly find the converted files. Then, you can play or stream convert files to PS4 via USB, Plex Media Server or DLNA Server.